If you decide to build an environment in Lab Manager which has a server performing the domain controller role, when you are joining the machines to the domain make sure you don’t rename them. If you do you will get “Additional Information” messages displayed about the state of those machines. Network isolation is complete. Additional information is available for one or more machines. 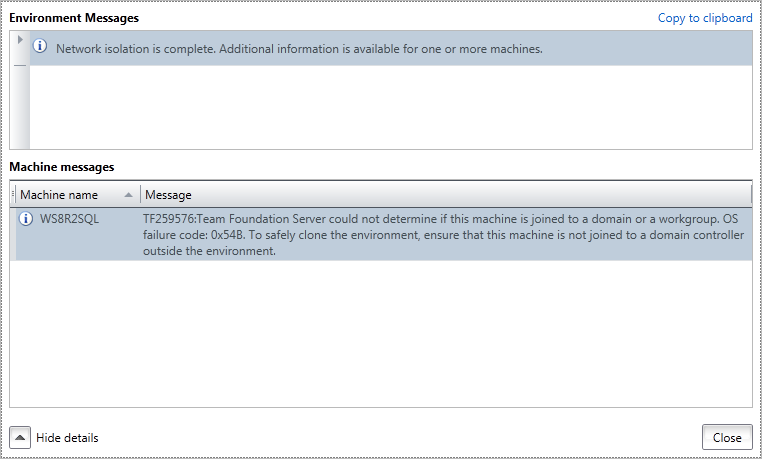 TF259576:Team Foundation Server could not determine if this machine is joined to a domain or a workgroup. OS failure code: 0x54B. To safely clone the environment, ensure that this machine is not joined to a domain controller outside the environment. 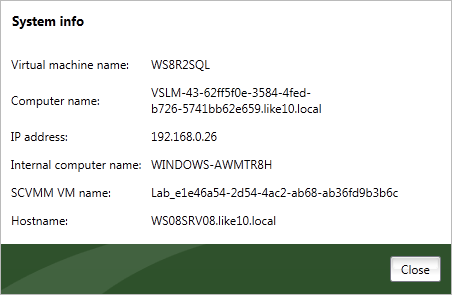 In Microsoft Test Manager, open Lab Center, and then click Lab. Connect to the environment using Environment Viewer. Select the environment in the list. In Environment Viewer, right-click the machine and choose System Info. The Computer name field displays the fully qualified name of the machine on the external network. The IP address displays the IP address on the external network. Not sure if this post really contains any information on how to resolve the issue. It just tells what may be a potential cause of the issue. This post specifically deals with renaming the machine and the issue that relates to that action.